Is there any paperwork or document for the mechanical systems of 2594 Murphy Dr, Adelaide Metcalfe, Ontario? 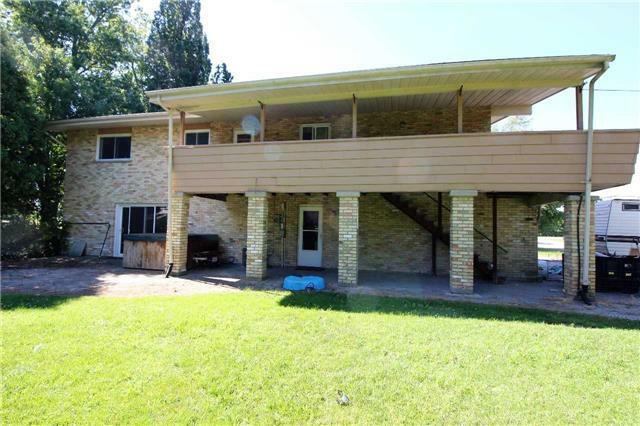 I need more information about the property at 2594 Murphy Dr, Adelaide Metcalfe, Ontario. How ist the neighborhood, location and nearby amenities for 2594 Murphy Dr, Adelaide Metcalfe, Ontario? I have questions about the roof, foundation, insulations and mechanical issues of 2594 Murphy Dr, Adelaide Metcalfe, Ontario? I need more information about property details. What's wrong with this house? Is this a short sale? Is there any maintenance for 2594 Murphy Dr, Adelaide Metcalfe, Ontario? What is this property worth in today's market? What are "closing costs", and how much? What steps should I take when looking for a home loan? What price home can I afford? Is my credit good enough to buy this house? What are the best mortgage options for me? How flexible is the seller on the asking price? How low can I consider offering for 2594 Murphy Dr, Adelaide Metcalfe, Ontario? Ideal For Steel Fabricating, Freight Yard, Freight Consilidation Depot Near Us Border, Agricultural Farm Machinery Repair Etc. Operate Your Own Manufacturing, Steel Fabricating As A Home Based Business. This Manufcuturing Facility Has Everything Including Two Houses! Main House Is A 35 Year Old, 3 Bdrm Brick Raised Ranch With 3600 Sq Ft Of Living Space; Needs Your Finishing Touches. There Is Also A Separate 1500 Sq Ft Second Residence For Extra Income.